Ottawa is home to many commercial real estate professionals. Within the sector, commercial Realtors have a competitive advantage because of their membership in the Ottawa Real Estate Board. Are Ottawa’s condos and commercial properties ready for electric vehicles? It’s a modern take on the classic chicken-and-egg question: Which needs to come first – the electric car or the charger? 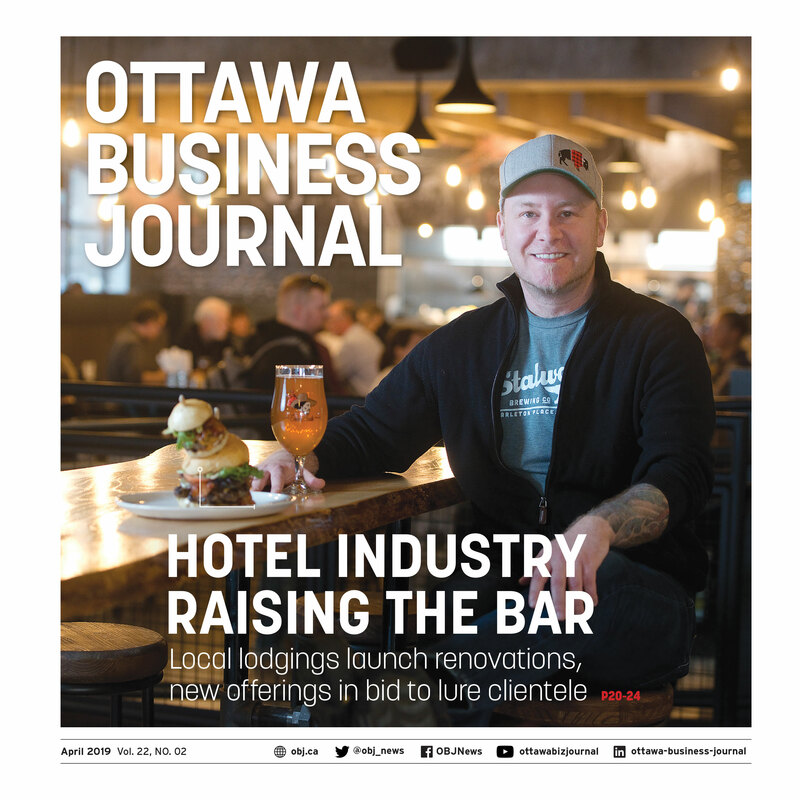 When the Ottawa International Airport surpassed the five-million-passenger mark late last year, it was more than a symbolic milestone. The University of Ottawa plans to unveil its new collaborative office space in Kanata North this spring, just months after it announced plans to expand to Canada’s largest technology park. Marilyn Wilson is a well-known residential realtor and entrepreneur whose passion and enthusiasm for the Ottawa community extends well beyond the world of real estate. Where do you find top talent? One of the common misconceptions for employers is that bringing in a person with a disability can be difficult and costly. When BDO considered the benefits of working in an open-concept space, one concern that arose was privacy. People tell us all the time that if they need to be in hospital, they want to be at Queensway Carleton Hospital. That’s because we are focused on healing people. If buying, selling, or leasing a commercial property was as simple as just signing on the dotted line, anyone could do it. The CNIB Foundation Ontario East is a non-profit organization driven to change what it is to be blind today. With one in seven Canadians living in poverty, we continue to face significant challenges around eliminating poverty in our country. The Diefenbunker is Canada’s – if not the world’s – only Cold War Bunker that is open year-round to the public and operated as a National Historic Site and museum. Hydro Ottawa employees have pledged $1 million over a five year period to fully equip an entire mammography room at the Rose Ages Breast Health Centre. One of the biggest decisions a business will make is where to set up shop. Investing in top talent to help Ottawa-based agency stay ahead in a shifting market. As Ottawa’s tech sector continues to grow, so does the industry’s need for new talent. How and where companies cultivate that talent goes beyond universities and colleges. The Ottawa Mission has been helping people who are homeless and hungry in our community since 1906. The Dementia Society helps people with dementia, their caregivers and families so no one faces dementia alone. Are you looking to recruit new talent? Will these new employees need to drive to get to work or will they depend on public transit? The dust has settled: Where do we stand? The Youth Services Bureau (YSB) is a multi-service agency providing life-changing programs and services to youth across Ottawa. Canadian Blood Services is Canada’s biological lifeline. The University of Ottawa Heart Institute Foundation is the bridge between the generous donors of this community and the exceptional work being done at the University of Ottawa Heart Institute. Capitalizing on this opportunity will be a challenge for those retailers unprepared to navigate the rapidly evolving regulatory environment. Local firm's headcount nearly doubled in 2018. Nelligan O’Brien Payne regularly advises clients on the best way to handle and prevent cases of workplace harassment. Our work is based on a simple but powerful vision: a world where all people can realize their potential, develop their skills and participate fully in society. 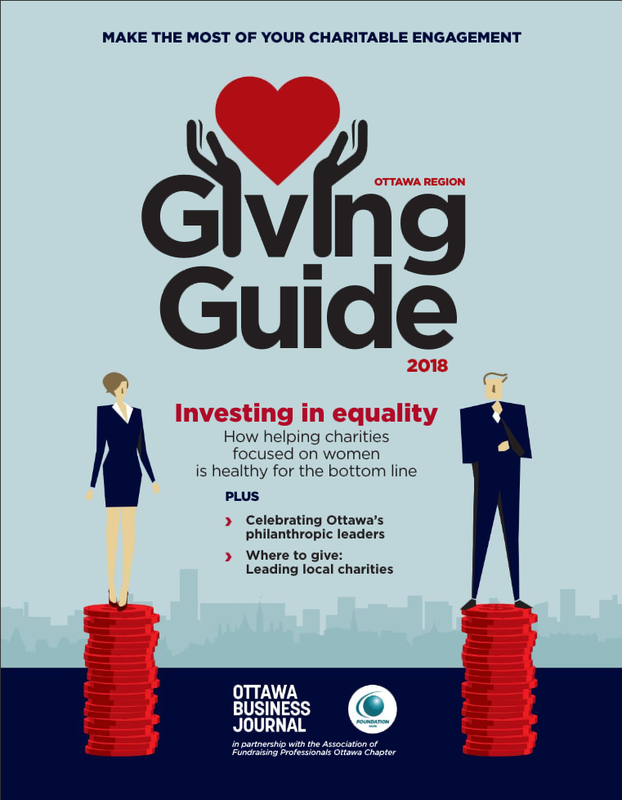 Shepherds of Good Hope is one of the largest not-for-profit organizations dedicated to meeting the needs of homeless and vulnerably-housed people of all genders in the city of Ottawa. What will be the biggest tech trends in Ottawa? By the 1990s, Canada’s air navigation system (ANS) was in need of change. Lockheed Martin joins forces with Habitat for Humanity Greater Ottawa to bring together defence sector and construct a new family home. Like any relationship, business partnerships can be susceptible to disagreements. And just like the breakdown of a marriage or common-law relationship, business breakups can be painful and costly. It’s known as Ottawa’s construction industry night on the town. When one thinks of job interviews, most people envision a candidate trying their best to impress a prospective employer. But recent shifts in the Canadian economy have turned the tables. For commercial REALTOR®️ Geoff Godding, the reason for joining the Ottawa Real Estate Board (OREB) was simple – it boosted his business. With no major updates to the company’s website in five years, the time had come for Ottawa-based Titus to hit refresh. For many busy professionals, time away from the city only comes on weekends in the summer, when they can escape to a cottage or go camping. The popularity of voice-activated digital assistants has taken off in an unprecedented way. Forget about a Canada 150 hangover – 2018 is shaping up to be a landmark year for the Ottawa International Airport (YOW). When a digital agency sets out to redesign its own website, it’s important to get the fundamentals right. For visitors travelling in an unfamiliar city, helpful advice from a knowledgeable server, driver or front desk employee can transform a trip and leave a lasting impression. Nestled in the heart of the Ottawa Valley sits one of the area’s best kept secrets: the St. Francis Herb Farm, a pioneering company in Canada’s natural health products industry. Hydro Ottawa is making it easier than ever for residents to give back with its annual Go Paperless campaign, in support of the Children’s Hospital of Eastern Ontario Foundation. David Perry and Anita Martel may be in the head-hunting business, but the title of “executive recruiter” is a poor fit. So say the industry analysts. The traditional on-premise data centre for business is dead, or at least on life support. But how does your business fit into this equation? It began with two guys, a backhoe and a dump truck. The military term is High Altitude, Low Opening (HALO) – drop people and supplies above the range of conventional weapons and radar, have their parachutes deploy at the last moment. When asked to provide the elevator pitch for her business, Tara Azulay politely declines. Hydro Ottawa is giving its commercial customers a full picture of how their property is consuming power and offering solutions to help reduce their consumption. This Summer’s 9th annual tournament, presented by Diamond Level Sponsor, GAL Power, was hosted July 10th at the renowned ClubLink Eagle Creek Golf Club in scenic Dunrobin, Ontario. When Annie first learned she had been chosen to become a Habitat for Humanity homeowner, she was in the car taking her son, Hunter, to daycare. If Westboro is the best neighbourhood in Ottawa, then 1451 Wellington is its crown jewel – and construction on the boutique condo is closer than ever to breaking ground. GEM Health Care Services has identified four new potential franchise territories for which it’s actively seeking franchisees. Despite being among the oldest golf courses in Canada, The Royal Ottawa Golf Club stands as a testament to the modern mindset. How much thought do you give to the roads and bridges you drive over on your daily commute? Ottawa’s hot economy continues to add jobs month after month, leading to the region’s tightest labour market in a generation. How do your corporate giving efforts measure up? Charities and foundations need to understand the priorities of donors to effectively serve the community. Though the urban areas of the nation’s capital have much to offer for visitors and residents alike, the region is also laden with hidden gems in its more rural stretches. Ottawa Business Growth Survey based on responses with hundreds of local business leaders. After a 30-year career touring throughout Canada and the U.S., Dean Batstone felt it was time to settle down. With automakers investing billions of dollars into electric vehicles, a revolution in how Canadians commute is on the horizon. With Ottawa’s busy summer tourism season warming up, visitors arriving from both near and far are descending on the National Capital Region. For decades, it was widely assumed by most organizations that the process of onboarding new, younger hires largely involved a one-way transfer of knowledge. Fast and reliable internet service is essential to most companies. With such high stakes, selecting the best internet service provider for a business is a big decision. As society’s perception of mental health continues to evolve, it’s important for employers to keep pace. In the same way that it takes a village to raise a child, it takes a host of dedicated hands to build a home. With client confidentiality a core tenet at law firms, the term “outsourcing” can understandably leave some in the legal profession uneasy. Interviews are the most critical – and stressful parts – of the job-hunting process. What do Serena Williams, Bill Clinton and Hugh Jackman all have in common? The balance between life and work has long been a struggle for professionals. And things tend to become all the more complicated when assets are brought into the equation. Of all the work that went into his firm’s rebranding, Lawrence Greenspon of Greenspon Granger Hill says picking a launch date was probably the easiest part. Should you lease or buy your next commercial space? A pending lease expiry is often time for tenants to reflect on whether their office, warehouse or retail storefront is working effectively for their business. Local open-source web development firm is tasked with building a new web presence for Holland Bloorview Kids Rehabilitation Hospital. It’s an unfortunate scenario in business: An entrepreneur or company founder receiving less money than they deserve because they realized too late that they were woefully unprepared to sell. The market for IoT devices and applications for improved patient care and general health and wellness is growing faster than ever before, thanks in large part to the needs of an aging population. Boards of directors are always looking for good people. It may be in the public sector, the private, or with a non-profit organization. But a lot has changed in recent years. While the promise of a new employment opportunity can be exciting, it doesn’t make the job hunting process any less daunting. For ETM Industries, location truly is everything. Online videos have quickly become one of the most popular activities on the web. The university is currently gearing up for the opening of its new STEM Complex this September. As Canada’s Paralympians take the stage – and in all likelihood, the podium – in PyeongChang this month, a local firm has geared up to support the team from right here in Ottawa. Banquet hall includes a performance stage, dance floor, high quality sound and LED lighting systems, remarkable acoustics and an innovative cyclorama screen ideal for slide, stage and light shows. An Ottawa Valley defence and security firm is leveraging Renfrew County’s skilled workforce and high-tech investments to protect some of the world’s biggest sporting events. Study finds airport is a major employer and an economic engine for Canada’s Capital Region. Recruiter. For some professionals, it can be a dirty word. Within a warehouse in Ottawa’s east end, Vesta Marble & Granite is putting a decidedly high-tech twist on outfitting homes across the National Capital Region. Resource showcases the dynamic variety of women-owned shops and businesses throughout the National Capital Region. Should you use a specialized recruiter to find your next employee? Any company looking to stake its place in today’s market knows that diversity in hiring has become a key business imperative. When recruiting, many employers go straight to the source: universities. 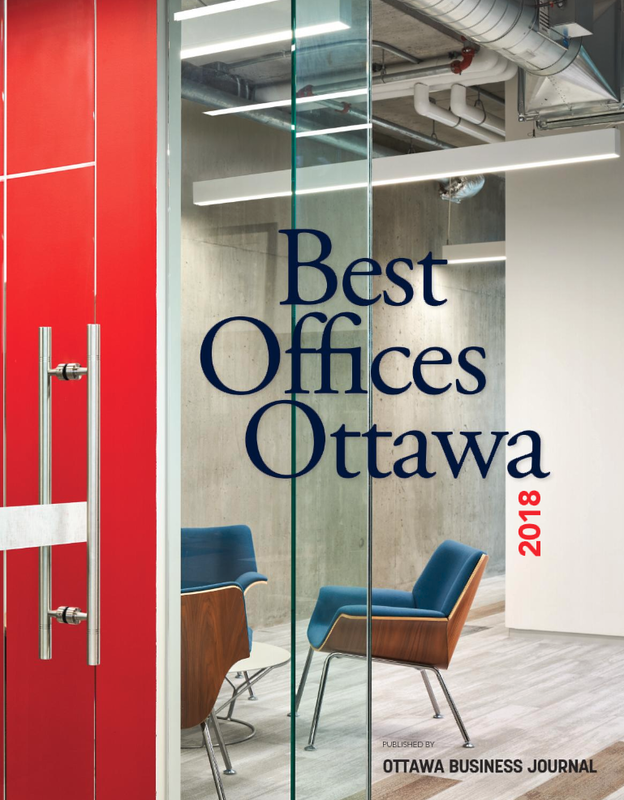 Landlord Merkburn modernizes Ottawa office space at 1050 Morrison Dr.
A professional master’s degree sends a clear signal to employers: Graduates are equipped with the modern management tools in their respective industry and ready to take on leadership roles. DiscoSkate DJ Skate Nights on Preston Street promises to be the most fun you can have on two feet – or blades – in Ottawa this winter. On Feb. 11, the Ottawa Senators Foundation will host the Ferguslea Properties Senators Soirée at the Hilton Lac Leamy. A wrong move around a downed power line or other equipment can lead to serious injuries and in some cases even turn deadly. At a time when so much is at stake, it’s important to have the right team standing with you ready to fight for your interests. How ready and resilient is your business in this Age of Disruption? Who’s responsible for compensating an injured person for their lost income and personal care needs? The 2017 edition of the EIC-PEI saw an impressive array of concepts that showcased students’ wide interests and talents. Based on number of destinations served, First Air is Canada’s third largest airline with a legacy of service and innovation. To extract maximum value from the combination of tools referred to as business intelligence or business analytics, companies should consider their decision-making environments. When Kevin Ford was appointed the CEO of Calian Group, it was his first foray into the C-suite. 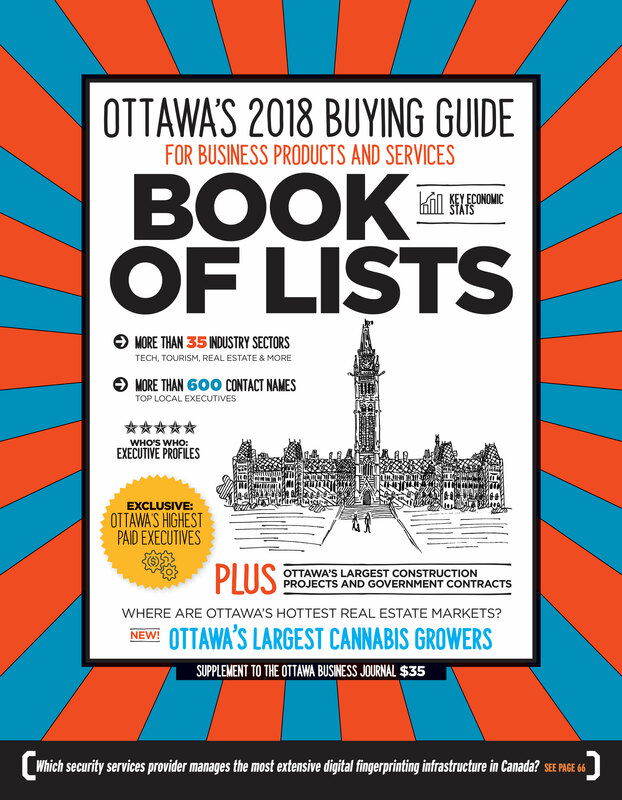 Legal experts from Perley-Robertson, Hill & McDougall LLP share their forecasts on what LRT, legal marijuana and the city’s thriving startup scene mean for businesses. Foundation helps donors "think bigger"
Your data in cyberspace: what are the risks? As our world grows ever more connected, important questions arise about cybersecurity and how we operate on a day-to-day basis. The Youth Services Bureau of Ottawa (YSB) is a multi-service agency providing life-changing programs and services to youth across Ottawa. HealthPartners strives to build healthy workplaces, healthy Canadians and healthy charities. CAFO’s goal is to provide all children and youth an equal chance at growing into healthy and successful adults. In the hot blazing sun, 15-year-old Cameron Williams peddled and peddled in his flipflops up the spine of Exuma, Bahamas. Make-A-Wish Eastern Ontario’s mission is to grant the wishes of children with life-threatening medical conditions to enrich the human experience with hope, strength and joy. For more than 80 years, United Way Ottawa has been working to make our city great for everyone. A great hospital is one of the cornerstones of a successful city. Shepherds of Good Hope is one of the largest not-for-profit organizations dedicated to meeting needs of the homeless and vulnerably-housed in the city of Ottawa. Although Canada is one of the most developed countries in the world, roughly three million people live in poverty. That’s one in 10 Canadians. Over the past 40 years, the Parent Resource Centre (PRC) has touched the lives of thousands of children and families in Ottawa and surrounding areas. The Ottawa Senators Foundation empowers children and youth to reach their full potential by investing in social recreation and education programs that promote both physical and mental wellness. Today, 28 people will walk into their doctor’s office and hear: “You have cancer”. Tomorrow, 28 more people will be told ”You have cancer”. Imagine their shock, their fear, their confusion. The Ottawa Integrative Cancer Centre (OICC) is changing how people are living with cancer. Habitat GO brings communities together to help families build strength, stability and independence through affordable homeownership. Our goal is for every woman to have a safe, affordable place to call home so she may reach her full potential in a caring community. Orléans Economic Symposium to highlight community’s growing innovative business sector. For more than 20 years, AFP Ottawa has had the distinct honour of paying tribute to those who make our city – and our country – a better place through their philanthropy. Framework ensures builds and renos are energy efficient, eco-friendly, healthy and technologically enabled. When deciding on promotional products for your organization or event, there is a seemingly neverending list of options available. Before walking into the building, take a look the surroundings. Where will customers and employees park? How far is the closest bus stop? How frequent is transit service? It’s typically still dark out when Tara Pahwa leaves her Kanata home to catch the 5:30 a.m. bus to work. A surrogacy arrangement typically involves a few extra players who wouldn’t be present in a traditional pregnancy. Most entrepreneurs start developing business plans, prototyping a product or selling services from a home office or even a coffee shop. Building a better working world is EY’s purpose. The global professional services firm strives to increase confidence and trust in business, and build communities that are stronger than ever. "Search Engine Optimization (SEO) enables search engines to work in your business’ favour. Businesses find it hard to innovate when they’re at the top of their game. Why fix what isn’t broken? Ottawa-based digital strategist Erin Blaskie started her first business when she was 21. Marketing your business can feel like a full-time job – a Constant Contact survey reports that small-business owners spend over 20 hours a week in that one area. As climate change brings unexpected and often sudden changes in weather, the impact on airports, airlines and ultimately air travellers can be significant. Most entrepreneurs use email and an electronic calendar to stay organized. Since migrating north from the United States about a decade ago, Black Friday has become hugely popular with Canadian shoppers. Preventing outages and restoring power usually invokes images of work crews clearing fallen trees and connecting wires atop utility poles. Moving into a proper office, storefront or studio is a major milestone for many entrepreneurs and business owners. Customers love getting freebies and rewards. Airlines and retail chains have long tapped into this desire, using loyalty programs to keep buyers coming back. Ottawa is one of the top cities in Canada to launch, expand and grow a business. Most businesses choose domain names associated with their brand, products or services, therefore choosing the right one is usually straightforward – to a point. In July, we launched a Canada 150-inspired contest to celebrate Rogers Small Business customers and give them the opportunity to tell their success stories. The business owner who stays up-to-date on the latest changes and trends in their field always has a leg up on the one who doesn't. Some of us understand things better when they're visualized rather than organized in charts and spreadsheets. Dr. Ian Stiell leads The Ottawa Hospital Emergency Medicine Research Group and is an active emergency room physician and clinical epidemiologist. If you're looking for a simple, no-hassle way for your staff to collaborate online, Igloo has a service you should know about. You probably know Moleskine for its high-quality notebooks, a staple of boardroom meetings. This app's name – the acronym stands for “if this then that” – belies just how simple, intuitive, and useful it can be for small-business owners. Plans for St. Charles Market include a collection of horizontal homes and townhomes wrapping around the original church structure. Running a small or mid-sized business takes a lot of time. Most SMB owners can’t just concentrate on one aspect of their business. One of the keys to a successful business trip is to pack smart. Bring what you need, leave what you don't, and make sure everything is small and light. Tarek Hassan launched his first enterprise, GongFu Bao, serving traditional Taiwanese steamed buns out of a food cart stationed at a busy downtown intersection near Confederation Park. Maintaining a social-media presence can make a big difference for many small businesses. In today’s mobile-driven, always-connected world, it’s vital for small -business owners – and their teams – to be equipped with mobile devices and, more importantly, a data plan. Brainstorming sessions can generate many solid ideas, but they can also end up being far from productive. Consumers are looking for instant gratification from businesses and want fast, seamless customer service. Businesses that fail to deliver are bound to lose out. How do you develop your vision for the next three years? Our small business expert Chris Herbert answers your #SmallBizQuestions! In this video, learn how you can best develop a short term vision that sets your business up for success. For CEOS and founders of small businesses, inbox zero is not just a dream -- it can be done. Why should you keep your email inbox empty? Working from home is something we've all dreamed of. Being able to work your own hours, wear pajamas all day while enjoying the freedom of doing what you want, when you want. Entrepreneurs often work long hours, trying to do everything themselves and assuming they’ll be able to slow down once their efforts pay off. Productivity appears elusive. Our calendars are filled. Our tasks compete for time. It seems like we cannot get everything done that we need to get done. On Jan. 3, Ottawa was hit with its first major winter storm of the new year. If you’re an entrepreneur about to launch a business, you’ll soon discover that managing your company’s finances is an ongoing activity. Generate more leads while saving money using inbound marketing. It has often been said that change is the only constant in business – a philosophy the team at Syntax Strategic embraces. For lawyer Kathleen Wright, it just makes good business sense to have in place a marriage contract (if married) or a cohabitation agreement (if in a common-law relationship). Welcome to the age of the mobile office – literally. Mike Ackman is developing a knack for finding value where others see waste. Data centres are large, sophisticated facilities that house thousands of computer servers in a carefully controlled, highly secure environment. As an entrepreneur, you’ve probably devoted most of your resources to your startup’s launch and you spend countless hours working to make it grow. Mark Motors is a family owned automotive dealership founded in 1959 by Austrian-born Louis Mrak. Canada Day may have been the country’s biggest birthday party ever, don’t think that July 1 is the end of celebrating in Ottawa! Have you taken the legal steps to protect your startup from disaster? Canada has a rich history of risk-takers who started small businesses that grew into national icons. Kylie Toh, the founder and executive director of Chic Geek, discusses promoting and fostering diversity in the workplace. Building owners and managers know that premature replacement of infrastructural elements comes at a financial cost. Medical professionals sometimes refer to the “pillars” of cancer treatment. Until recently there have been four pillars: surgery, radiotherapy, traditional chemotherapy, and precision therapy. What does it take to be named a Top Employer not once, not twice, but nine times in a row? The Confederation Line East extension will mean true rapid transit for Orléans. Inside his Renfrew County office, Alastair Baird keeps a database of jobs that companies are looking to fill. Industrial millwright. Engineer. Accountant. Scientist. Editor. Welder. Have you inspected your single-ply roof lately? The real challenge for a lawyer is how well they can serve as their client’s champion. The Royal Ottawa Golf Club may have a prestigious and storied history, but that doesn’t make it a stuffy old boys club. The law firm now known as Soloway Wright first opened its doors in 1945 when the late Hyman Soloway started a law practice with his friend and colleague John Mirsky. It’s called the Centre for Entrepreneurship and Engineering Design (CEED), an initiative of the University of Ottawa’s Faculty of Engineering, co-funded by the faculty, alumni and NSERC. It’s rare for a wealth management company to consider much beyond your financial portfolio. But that’s not the case at OPES Wealth Management of IPC Securities Corporation. Recently renovated and more appealing than ever, the Centurion Conference and Event Center has been hosting exceptional events for nearly 20 years. Affectionately known to many as ‘the castle’, the Canadian Museum of Nature has a great history and a great story to tell. The Ottawa Conference and Event Centre isn’t just one of the national capital region’s largest event facilities; it’s also one of the most accommodating. It’s one thing to achieve a breakthrough in the lab and quite another to woo the interest of investors and partners who can help take it further. When clients need more, it makes sense to give them more. How to bring a foreign worker to Canada? Visit http://www.perlaw.ca - wcreates@perlaw.ca or call 613.566.2839. Increased collaboration. Higher productivity. Lower turnover. 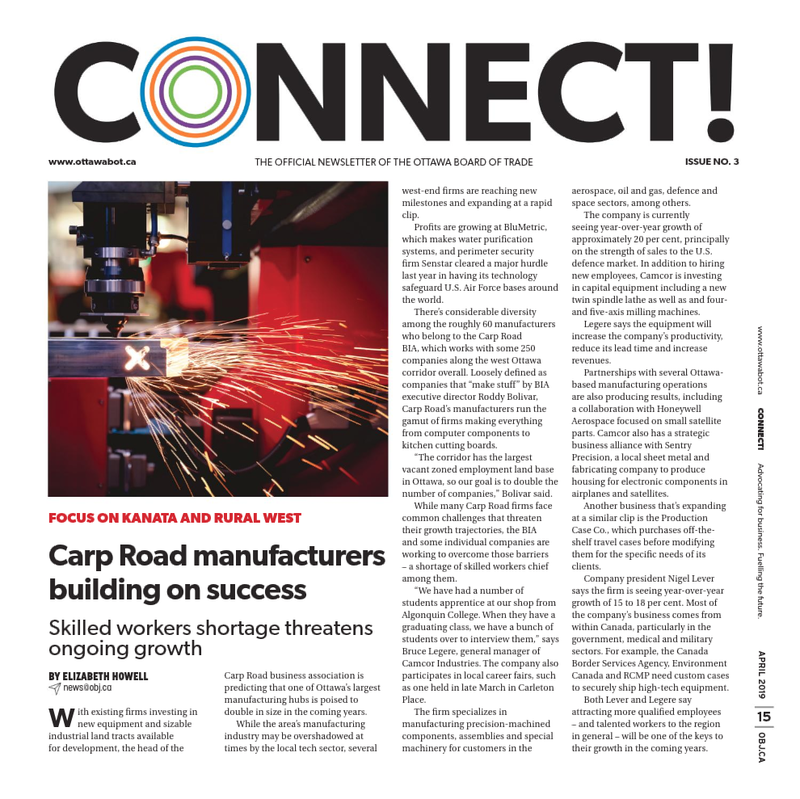 The Ottawa Business Growth Survey has drawn the same conclusion two years in a row – attracting skilled talent remains the top issue keeping local business leaders awake at night. Take a good look at the lights in your office, store, restaurant or business. Spring is almost here. Is your roof ready? It’s one of the classic sounds of winter turning to spring: The sound of water dripping off a roof and splashing on the ground. SOLD IN 3 DAYS FOR TOP DOLLAR Listed for months with another realtor. Hot on the heels of its very successful 101 Things to Do campaign, the Preston Street Business Improvement Area (BIA) has just launched a new program for 2017. An innovative local initiative is helping Hydro Ottawa reduce its environmental impact while making a positive difference in the community. What’s the common denominator for Calian's success? A great idea alone does not make for a successful company. In 2007, mining industry magnate and University of Ottawa alumnus Ian Telfer made what was then the largest donation ever given to a Canadian business school. The Ottawa Valley is just far enough off the beaten path to offer those who wander its villages, recreational trails and restaurants the opportunity to create lasting memories. Slightly more than a century ago, Ottawa’s first municipally-owned utility was born. Ernie Cecchetto was a teenager when he first learned how to catch fragments of a shooting star. In 1977, a failed research project at McKinsey & Co. set in motion the wheels that would lead Tom Peters and Robert H. Waterman, Jr. Since the 1990s, Canada’s major airports have been operating as private, not-for-profit self-sustaining businesses. Ernie Cecchetto thinks of himself as a conservationist. Revitalizing a neighbourhood is never easy, but nothing worth doing ever is. At first glance, Shirley Westeinde appears to be an eloquent, fashionable and unassuming. From personal observation, today’s homebuyer may be better informed than at any other time in history. Building homes runs in the Kardish family. The way Jeff Hunt sees it, running a junior hockey franchise can be similar to cleaning carpets. What does it mean to have an entrepreneurial mindset? It can mean many things. An ability to think outside the box. Challenging the status quo. Taking calculated risks. The importance of apprenticeship and trades training to attract the next generation can’t be understated as the baby boomers reach retirement. Are you open to talent? Local leadership with an eye to the future and deep respect for the past. Kanata North has proven itself much more than a one-trick pony since that telecom bubble of years past. It’s thriving in a number of other markets. The Ottawa Macdonald- Cartier International Airport Authority (OMCIAA) is a complex and well-oiled machine. Big data isn’t just something we have to manage, it heralds a profound shift in how we live, work and play. Your home is likely the largest financial investment you’ll ever make. Why did these diverse entrepreneurs choose Vanier? We’ve all heard of people who stay in an unhappy marriage for the sake of the kids. But what about staying married for the sake of the house? As legal fees continue to rise, business professionals are often faced with a difficult decision. Brad Loiselle has a bold ambition: Educate an entire country. When Is Late Too Late? By Kyle Stout Last December, the Supreme Court of Canada released its decision in a trilogy of class actions reported as Canadian Imperial Bank of Commerce v Green. Invest Ottawa: Ask an Expert! Kanata North remains on the cutting edge when it comes to the next generation of semiconductor technologies. And why wouldn’t it be? Introducing the new kid on the tech block; Ranzure Networks. Ranzure , seed funded by anchor investor Mitel Mobility, is a growing new company focused on bringing 5G to the planet. Whether You Sell Code or Clothes: We Can Help. The biggest changes in Canadian securities law in a decade have taken place in the past year. One of Mealshare’s founding supporters in the Ottawa region, Hydro Ottawa, is helping to turn dining out into helping out. Are you looking to break ground? Maybe it’s for light industrial use, a truck transport terminal, bank, restaurant, convenience store, technology centre or warehouse. It takes a lot to overwhelm Stephan May these days. He’s learned to take even the most stressful situation in stride and stay focused on the big picture. Leading a successful business onto the international stage requires strategic vision and a relentless focus on customer needs. With its advantageous location one hour from Ottawa, Calabogie Peaks has long been a popular year-round destination. Aligning the diversification of its service offerings with the needs of its evolving customer base has long been the backbone of Calian Group Ltd.’s success. HOME GROWN SUCCESSES AS FAR AS THE EYE CAN SEE What defines a successful tech company? If your business is anything like Hydro Ottawa’s, you’re experiencing first-hand the monumental shift sparked by the retirement of the baby boomers and the influx of the millennial generation. The Ontario Court of Appeal has recently provided important guidance in terms of when a claim is discovered for limitations purposes in the context of a continuing breach of contract. What does it take to become a green employer? Given the scope of your operations and your industry, what can you do to become a greener employer? Is it worth four more hours of your time to save $500 on a business-class fare to Beijing by connecting in a U.S. hub? As university students place a greater importance on gaining relevant, degree-related work experience before they graduate, potential employers can have a key role to play. By Peter Cronyn Entertainment corporation Livent Inc. has successfully sued its auditors for failing to detect the fraudulent activities of its senior management. The innovation and transformation in Canadian urban planning and residential living has been remarkable over the past decade. What makes a tech company cool? The team that plays together, stays together, says Kim McKenney, president of Dominion Lending Centres (DLC) The Mortgage Source. When Claude Laguë first took the reins as Dean of the University of Ottawa’s Faculty of Engineering in 2006, it was a rather bleak time. Is your secret sauce protected? PageCloud is not the next WordPress. Canadians have their eyes on their bank accounts – whether trying to stick to a budget, save to meet a big goal, or simply just make ends meet. It only makes sense that a vendor would want to sell you the products and services that are its bread and butter. Kanata North has a long and storied history as a pillar of the Canadian telecommunications industry. It remains the hotbed of telecom innovation in Canada. Children in Ottawa’s Parkwood Hills now have a new play structure to enjoy, thanks to the PCL Hard Hat Heroes fund. An initiative between PCL Constructors Canada Inc. When it comes to charitable giving, more and more, donors want to know where their money is going and how it will make an impact. The 7th Annual Help Kids Grow Up (HKGU) Charity Golf Tournament presented by GAL Power was held July 19th at the prestigious Eagle Creek Golf Club. Earlier this year, hackers stole nearly 15 gigabytes of company information, including payroll and bank account data, from Goldcorp Inc., one of Canada’s largest mining companies. How can you benefit your business by benefitting the community? Entrepreneur Tammy Pilon-Cecchetto wants to remove one of the biggest barriers preventing businesspeople from biking to the office or squeezing a workout into their lunch hour. What would be the perfect cloud architecture for your business? How much pay is too much? Whether it ends up bearing the name Re-Imagined or IllumiNATION, one thing is clear — a long overdue change is coming to LeBreton Flats. Kanata North touts itself as the place where serious tech gets done. Silicon Valley North. Kanata’s Golden Mile. Terrytown. At a law firm where even rock stars are expected to check their egos at the door and put clients first, it can be hard to find the right talent with which to grow. Hydro Ottawa has made the list of Canada’s Top Employers for Young People three years running. Why? Because it recognizes the need to invest in a new generation of talent. Bob “Bobbie” Smith had it all figured out. Last time in the OBJ, we offered the story of Bob “Bobbie” Smith. Tech startups have unique legal needs. Where is your business taking you? Passenger planes don’t just fly anywhere. The first wave of baby boomers has already retired, with more to follow.